The Turkish Lira and the stock market got hit hard this week as the ruling party did not get the majority of votes. In the long run I do believe that a functioning democracy is positive, both for the country and business despite “uncertainties” due to elections. Especially as a public shareholder it is very important that the institutions in a country are properly working. With Erdogan gaining more and more power, I did have my doubts. I don’t know that many positive examples that stock markets with dictators in charge do really well. 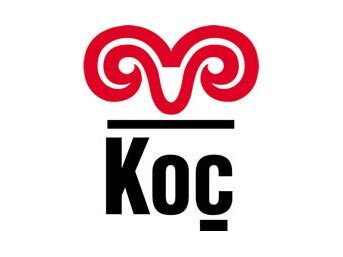 My Turkish stock investment Koc Holding is still doing well. In EUR Term, I am still up around +50%. This is mostly due to a quite lucky entry point back in February last year. I still could not motivate myself to increase the position as Q1 results haven been operationally good but net income was lower yoy because of one-offs. For Koc, a weaker Erdogan/AKP should be clearly positive in the long run as it reduces risk. My second “Turkish” investment is the 2020 Depfa TRY Zerobond which I bought almost exactly one year ago. Again I was lucky with the purchase timing. Although I bought at a more expensive exchange rate (2,85 TRY/EUR), I made some money on the bond price so that I am only slightly down. At a current yield of ~13% p.a., the bond trades around 4% p.a. wider than a 2 year longer EIB Zero bond and around 3% wider than similar Turkish Government (coupon) bonds. Well, one year later, the bond actually trades 4,2% wider than Turkish Govies and 4,3% wider than the EIB bond. I still believe that there is very little credit risk in a senior Depfa Bond and that at around 50% and a yield of 13,8%, the bond is good value at an Exchange rate of 3,10 TRY/EUR. I might increase the position slightly in the next few days.